Two lithium-ion battery terminals made contact, sparking a two-alarm fire that consumed a single-family home. 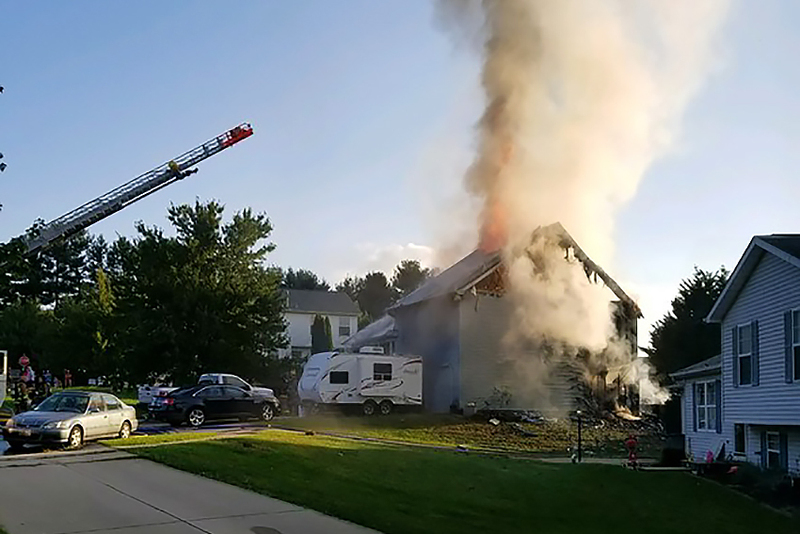 After battling the blaze for nearly an hour, firefighters managed to quell the flames that consumed the three-story Maryland home this week. But by then, officials declared the smoking structure a total loss. Thankfully, no one was hurt in the fire, which authorities estimate caused about $250,000 in damages. And the cause of the devastation, according to the Maryland State Fire Marshall, was an e-bike. Specifically, it was a do-it-yourself e-bike kit. Resident Robert Floto, 25, told investigators he was assembling the bike in a first-floor bedroom when two battery terminals accidentally made contact. The batteries immediately exploded, spreading flames throughout the room. Officials said matters compounded quickly, as the fire caused “other batteries to explode and ignite nearby combustibles.” Floto and his father, Gary, managed to get the bike out of the home and even attempted to put out the fire with multiple extinguishers, according to the fire marshall’s report. But the fire spread rapidly out of control, and 60 firefighters scrambled to the scene to battle the blaze. Floto, Gary, and one other occupant escaped unharmed.